Classic roller shades have been a perennial favorite with decorators and homeowners for decades. With their sleek good looks, mix-and-match aesthetic and easy manageability, roller shades offer convenience and versatility to any decor. 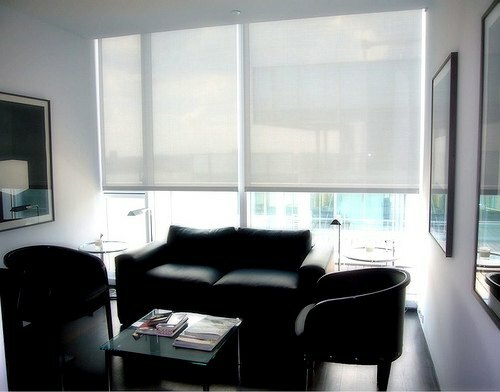 Because they come in such a wide variety of fabrics, roller shades are extremely versatile and suited to all types of decorative schemes. For a trendy, vibrant look, coordinate your roller shade colors to your wallpaper and upholstery fabrics. For example, a white roller shade bordered in black will pair well with a black-and- white schemed room; or you can opt for a zebra print shade to match a zebra print rug or sofa. Pastel shades work beautifully for a sunroom by bringing in the light. You can pair pastels effectively so that they tone in with each other. Sea greens, turquoises and coral colors blend in beautifully with wicker furniture, while yellows and pinks work effectively in bright, airy kitchens. If you have solid carpets, tiles or furniture coverings, consider brightening up the room with roller shades in stripes, plaids or other types of prints. Likewise, geometric patterns look wonderful in a teen’s room or recreation room, while florals add a touch of luxury and sophistication to a dining or living room. For true formal elegance, consider wide striped patterns in golds, silvers and bronzes. Solid jewel tones, such as emerald green, cobalt blue and ruby red, are also ideal for a formal decor. Although roller shades are typically made from vinyl, you can also get more expensive shades in a variety of fabrics such as polyester, linen, damask and silk. These materials are often specially treated against stains and dirt, so you won’t have to worry about using them on a daily basis. If you’re on a budget, you can also purchase vinyl roller shades and cover them with a fabric of your choice; just use hot glue for the fabric and decorative trim. To give roller shades a quick once-over, all you need is a feather duster or a brush attachment on your vacuum. This will usually take care of surface dust and grime. For heavier cleaning, however, you can generally use a soft damp cloth. For spot stains, you may also want to try using a bleach pen. Always make sure that you dust the shade thoroughly before attempting any heavier cleaning. Because roller shades come in such a wide variety of materials, it’s important to check with the manufacturer first before putting any type of cleaning product on your roller shade. If you’re looking for discount roller shades, consider purchasing them from an online retailer. By buying online, you’ll be able to get quality custom roller shades at a mere fraction of the price you would pay in a decorator store. 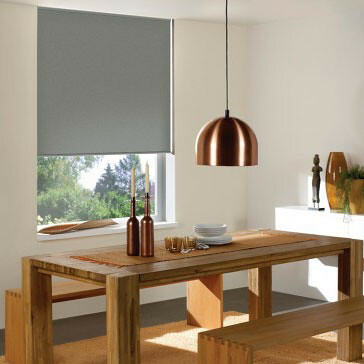 You’ll also find a huge selection of roller shades on sale, so you’ll be able to take advantage of manufacturer clearances and seasonal discounts. Thanks for taking the time to review my article on using roller shades to enhance your home. For more information be sure to check back next week!